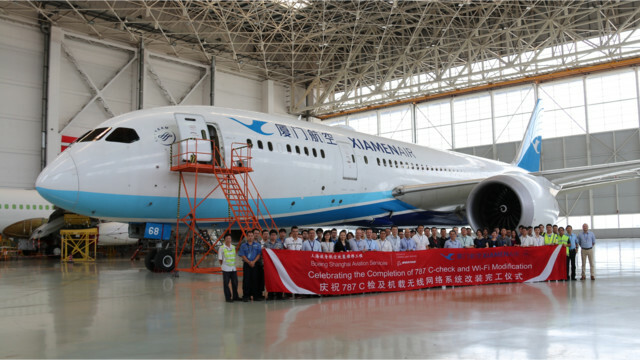 Boeing Shanghai Aviation Services Co., Ltd (Boeing ShangHai) and Xiamen Air celebrated the completion of the first 787-8 base maintenance check, also known as a C-check and Wi-Fi modification at Boeing Shanghai’s hanger at Shanghai Pudong Airport. A C-check is an extensive check of the airplane’s systems and components that can require several days to perform. Established in 1984 and based in Xiamen, China, Xiamen Air operates scheduled passenger flights to major cities in Chin as well as international routes to Southeast Asia, Northeast Asia and North America. Currently Xiamen airlines operates an all-Boeing fleet consisting of 9 787s, four 757s and about 140 Next generation 737s. Boeing Shanghai is a joint venture between Boeing, Shanghai Airport Authorities and China Eastern Airlines. 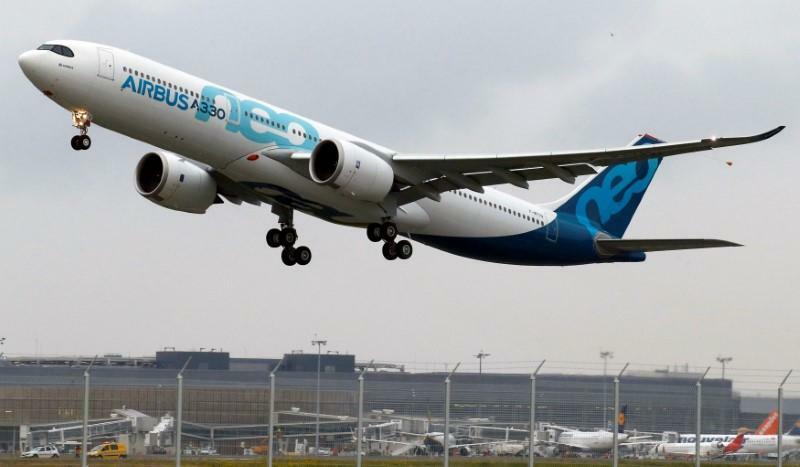 Airbus has inaugurated its A330 Completion & Delivery Center (C&DC) in Tianjin, China, taking additional steps in the expansion of its global footprint and strategic partnership with China. At the same time, the first A330 to be delivered from The C&DC was handed over to Tianjin Airlines. Located at the same site as the Airbus Tianjin A320 Family Final Assembly Line and the Airbus Tianjin Delivery Center, The A330 C&DC covers the aircraft completion activities including cabin installation, aircraft painting and production flight tests well as customer flight acceptance and aircraft delivery. 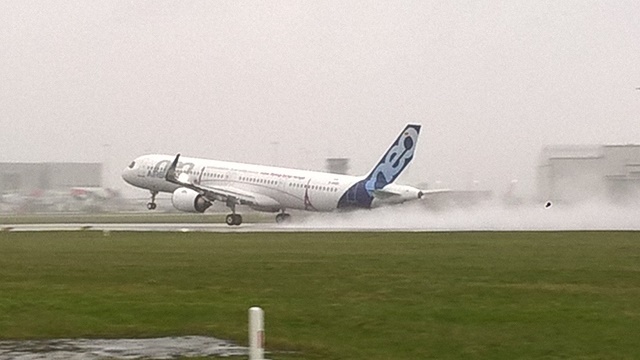 Some 150 Chinese staff members of the C&DC were trained by Airbus experts in Toulouse. The A330 C&DC in Tianjin will employ more than 250 people and is ready to deliver two aircraft per month by early 2019. “The inauguration of our A330 C&DC in Tianjin, together with first of many deliveries, marks a new milestone for Airbus’ international footprint and underlines the strong spirit of cooperation with our Chinese partners,” said Fabrice Bregier, Airbus COO and President of Commercial Aircraft. To date the A330 Family has attracted nearly 1,700 orders and over 1,300 Family aircraft are currently flying with more than 110 operators worldwide. Indian LCC SpiceJet firmed its order for up to 50 Bombardier Q400 turboprops September 29, the largest single Q400 order to date, valued at $1.7 billion if all purchase rights are optioned. Notably, the aircraft is in the Q400’s new 90-seat configuration, and on delivery will make SpiceJet the world’s first operator of a 90-seat turboprop. 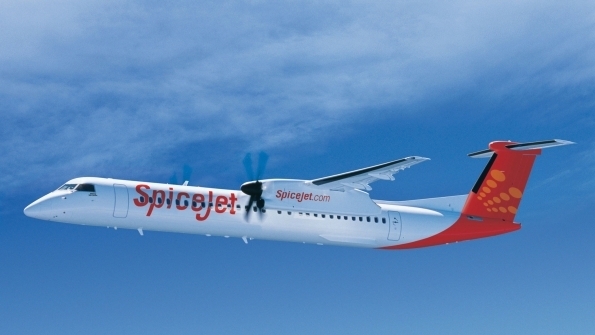 SpiceJet signed its initial Letter of Intent (LOI) for 25 Q400s plus purchase rights for an additional 25 aircraft at the Paris Air Show June 20. At the time, the order was for the 86-seat extra-capacity NextGen variation of the Q400, which are being flown by Philippine Airlines (in a dual-class configuration) and Thailand’s Nok Air. The Airline is looking to expand coverage of India’s domestic and international regional market and hopes the 90-seat Q400 will meet increasing passenger demand. With SpiceJet’s order, Bombardier said the Q400 firm order total has reached 610 aircraft. 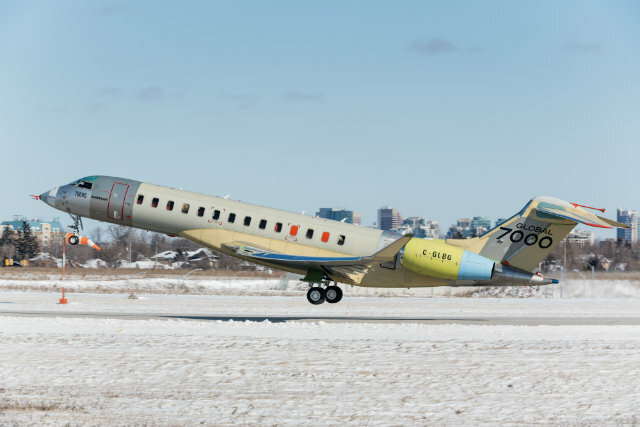 Bombardier’s Global 7000 program has taken another step forward, with the debut flight on September 28 of the fourth flight test vehicle (FTV$) —the first to be equipped with full production interior. The ultra-long-range business jet serial number 70004, with registration C-GLBR made its maiden sortie from the airframes’s Downview, Toronto manufacturing plant. Two days later, FTV$ made a 3 hour journey to Bombardier’s flight-test center in Wichita, Kansas, to begin certification testing. The aircraft, dubbed “the Architect”, will be used to validate the Global 7000’s interior, and to confirm what Bombardier calls “its unparalleled comfort, connectivity and productivity”. 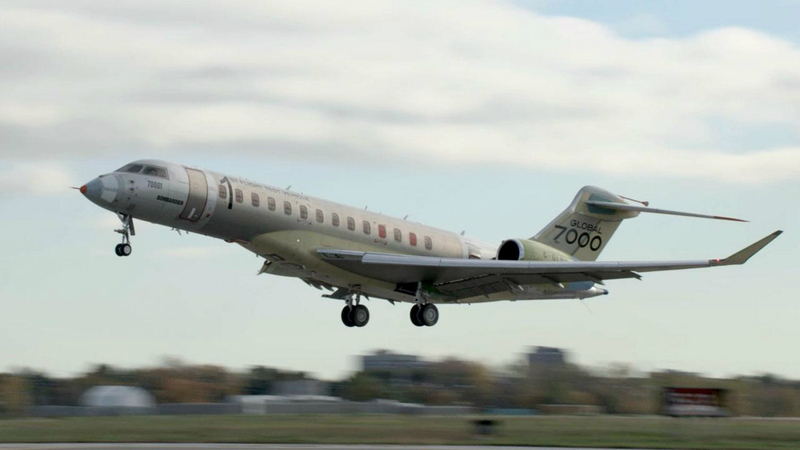 Bombardier launched the Global 7000 first flight-test campaign on November 4,2016 with the maiden flight of its first prototype. The aircraft is powered by GE Aviation Passport engine the fleet so far has flown more than 500h. The lead trio FTV1, FTV2 and FTV3 have been used to evaluate the Global 7000s propulsion, avionics, electrical and mechanical systems. They will be joined in Kansas shortly by a fifth and final aircraft, FTA5, which will serve as the entry-into-service validation aircraft. The Global 7000 remains on track for certification in the second half of 2018, says Bombardier. The aircraft is priced at $73 million. Southwest Airlines launched the Boeing 737 MAX 8 into revenue service on its network Oct.1, flying from Dallas Love Field to Houston Hobby Airport for its first official flight with CFM international LEAP-1B-powered aircraft. Southwest chairman and CEO Gary Kelly called the MAX 8 “the future of the Southwest fleet.” The Dallas-based carrier launched nine 737-MAX8s into service Oct.1 and will add five more to its fleet by the end of 2017.The airline plans to have a fleet totaling 707 aircraft by the end of 2017 comprised entirely of 737-700s,737-800s and 737 MAX 8s; all of its 737 Classics have been retired. The airline’s 737 MAX 8s are configured with 175,32-inch pitch seats in a single-class layout. Southwest, which Boeing has said played a pivotal role in helping design the aircraft, becomes the first North American airline to operate the aircraft, which entered service with Malaysia’s Malindo Air in May 2017. Southwest has orders for 200 737 MAX aircraft, a combination of the 7 and 8 models. 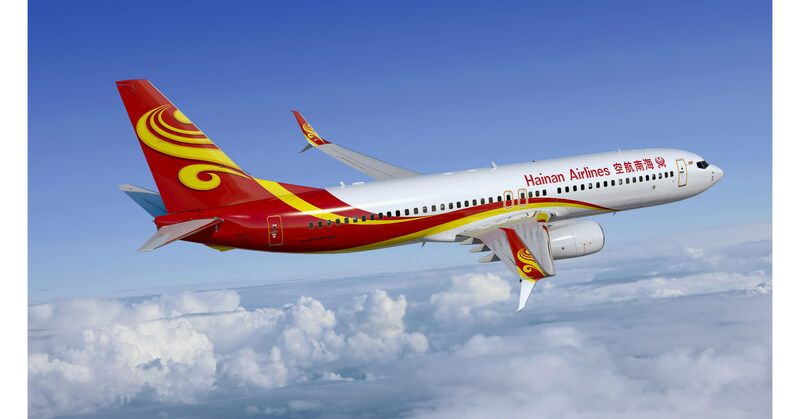 On September 14 Aviation Partners Boeing (APB) announced that Hainan Airlines has committed to install Split Scimitar Winglets on 36 of its fleet of Boeing Next Generation 737-800 aircraft. Hainan was the first airline in China to operate with APB’s Blended Winglet technology, and now will be first airline in China to Operate with APB’s latest product, Split Scimitar Winglets. Split Scimitar Winglets confirm Hainan’s commitment to providing exceptional value to its customers, through the implementation of efficient technology. Hainan’s aircraft will be modified during routine maintenance visits at Hainan Airlines’ maintenance facility, HNA Technology, in Haikou. Installation tasks can be performed concurrently with most maintenance activities, allowing for a very efficient shop visit. 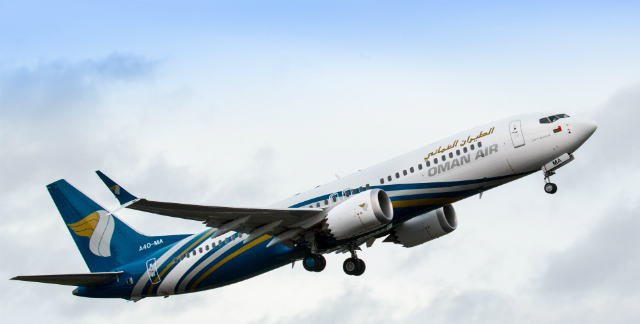 Once installed, the Split Scimitar Winglets can reduce lock fuel consumption by up to an additional 2.2% in addition to fuel savings and reduction carbon dioxide emissions. 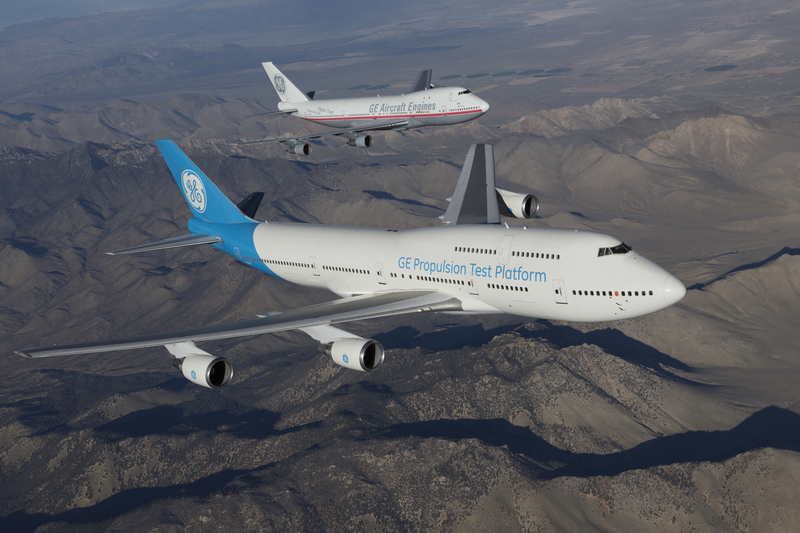 GE Aviation bids farewell to their Boeing 747-100 testbed. The oldest jumbo in active service after making her final sortie at the engine company’s flight-test center in Victorville, California. The aircraft rolled off the assembly line in October 1969 and made the first flight with Pan Am in March the following year. Named Clipper Ocean Spray, the aircraft flew in Pan Am colors for 21 years accumulating 86,000 flight hours before the engine maker acquired it in 1992. After a series of modifications, removing seats, strengthening the left wing and tailwind installing data systems, the testbed began operations with GE in 1993.
had the privilege to go on board the aircraft, when GE was testing the GE90 engine the exclusive engine for the 777-300ER and 777-200LR . In 2015, it got a new livery, with the old GE Aircraft Engines paint scheme being replaced with GE Aviation. The 747-100’s place has been taken by a 747-400, acquired from Japan Airlines in 2010 and converted to GE’s Propulsion Test Platform. SilkAIr Singapore Airlines’ regional arm has taken delivery of its first Boeing 737 MAX 8. The aircraft arrived in Singapore on October 1, with two more expected by year end. Cathay Pacific is converting six of its Airbus A350-1000s to the smaller -900 and deferring delivery of five other-100s by year end. Japan Airlines announced an order for four 787-8 Dreamliners. The order, which was previously listed on the Boeing Orders & Deliveries website. United Air Lines conducted its last Boeing 747 flight on the 7th of this month from San Francisco to Honolulu. 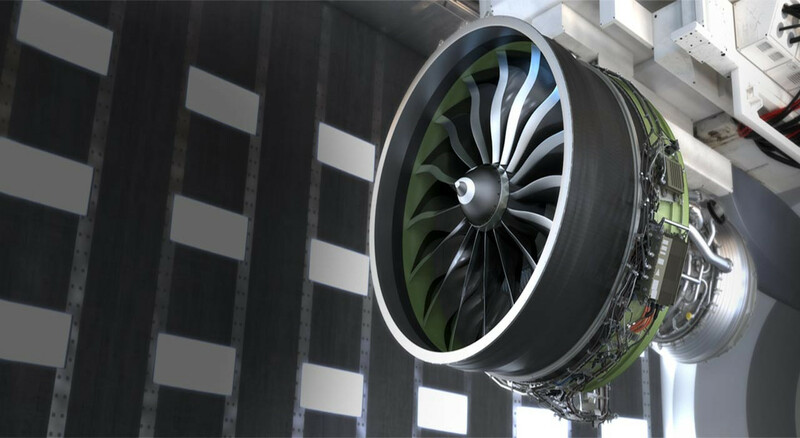 CFM International continues to lead rival Pratt &Whitney in the race to power Airbus A320neo-family aircraft by 524 to 439 aircraft. American Airlines took delivery of its first 737 MAX 8 late last month the first of four that American plans to take delivery of this year. Gulfstream Aerospace Gulfstream Aerospace’s fleet of G280 super-midsize business jets has accumulated more than 100.000 flight hr in less than five years. The first model entered service in November 2012. 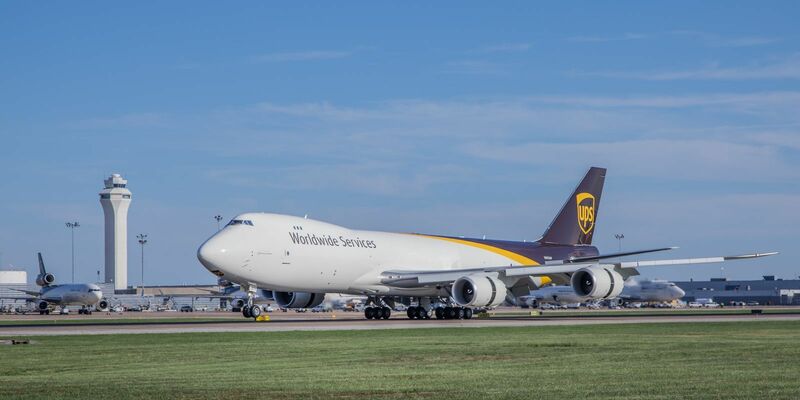 UPS took delivery of its first of 14 Boeing 747-8 freighters jets the shipper ordered a year ago, two more -8’s will arrive this fall in time for the peak holiday season starting at Thanksgiving. SF Airlines’ made its first flight from Chengdu to Hanoi in late August, marking the first direct cargo flight from China to Hanoi, Vietnam. Operated by 767-300BCF freighter twice a week, the regular flight facilitates the transportation and communication between Chengdu and Vietnam. SF Airlines affiliates SF Express. In recent years, the cargo carrier has been operating charter flights to Osaka, Inchon, Katmandu, Dhaka and Phnom Penh, completing its air logistics channels from China to other Asian countries. The 767-300BCF, exclusive to SF airlines, suits the electronic product transport of its charter customer perfectly, which makes this cooperation quite profitable, meaning the opening of the new route enhances the air logistics between Chengdu and Hanoi and benefits the cargo distribution and trade communication between the two areas. SF Airlines started in 2009 and right now its all-cargo aircraft fleets have outnumbered other domestic cargo airlines with 40 full-cargo airplanes and 37 national destinations. Boeing in-sourcing strategy likely will see the OEM continue to broaden its vertical-integration efforts into areas with substantial aftermarket upside, further pressuring large suppliers, analysts and Canaccord Genuity believe. “Considering the expectations for future cost reductions on the 787, and the growing focus on the commercial aftermarket, we believe Boeing will look to expand its vertical integration into other areas, and this is a major risk for the supply chain,” Canaccord analyst Ken Herbert wrote in a recent research note based in part on a Boeing investor event. Herbert believes UTC products, such as wheels and brakes could be particularly vulnerable as Boeing sees as a lack of benefits from the proposed UTC Rockwell Collins union. He added Boeing’s ramping up of its avionics development is likely a preemptive strike along these lines, as avionics specialist Collins has been a sought-after target for some time. 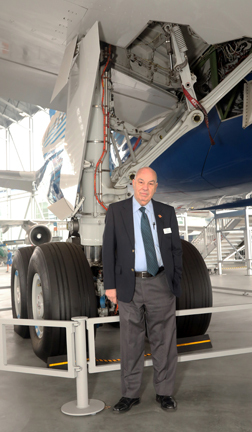 Herbert noted that following UTC’s last major supplier acquisition-Goodrich, in 2012 Boeing pulled in nacelle production and changed 777 landing gear suppliers, costing Goodrich work. The New gear supplier, Horous-Devtek, will not see aftermarket revenues from 777 and 777X gear it supplies. Herbert also expects Boeing to make a “major” push into used serviceable materials, expanding an already formidable new-parts business. 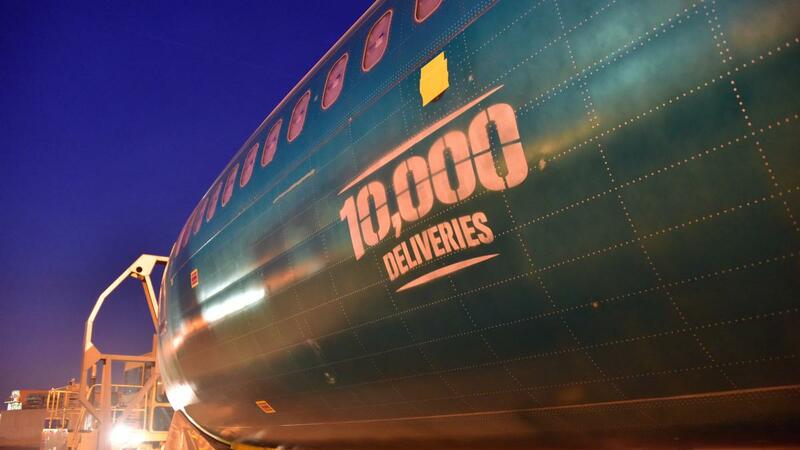 “We believe Boeing proprietary parts are the highest margin piece of the BCS segment,” Herbert wrote. (as a long career parts Vice President with various car and heavy duty truck companies I concur with Mr. Herbert prognosis in this area) Ed . Lufthansa Technik was selected by NEOS to provide Boeing 787 component support. Turkish Tecknic was selected by Shaheen Air to perform S-checks on four A330s. Airbus took delivery of the 50th shipset of major A320 family component assemblies, including fuselage sections, vertical/horizontal tailplane, and wings, at its US Manufacturing Facility in Mobile, Alabama. HAECO was selected by Finnair for Airbus A350 heavy maintenance. American Airlines was approved by Brazil for new $100 million aircraft maintenance center in Sao Paulo. Liebherr-Aerospace Lindenberg has a flyby contract to provide E-Jet landing gear overhaul. Stelia Aerospace delivered 3.1 ton cargo door for the first Airbus Beluga XL. FEAM Aero has an Emirates Airlines contract to provide Boeing 777 line maintenance at Chicago. 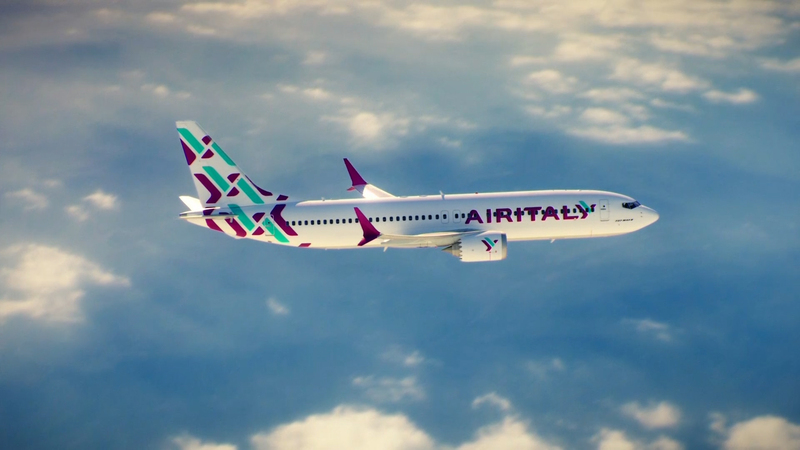 Which airline uses or had used the slogan on its nose? 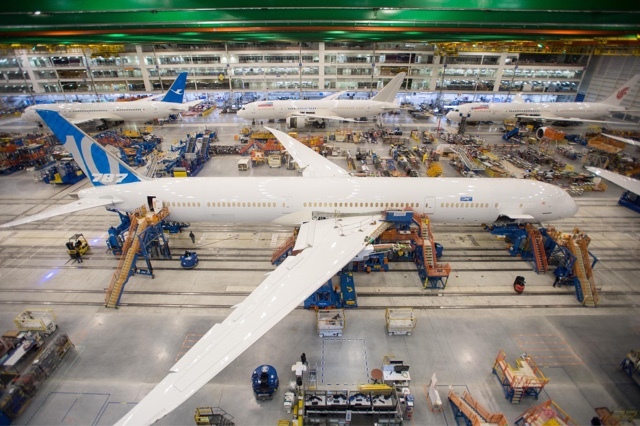 Boeing in early December began to assemble the first 787-10, the second stretch variant of the family, at its facility in Charleston, South Carolina. The 787-10 has the potential to take a significant slice of the replacement market for the Airbus A330-300s and the 777-200s. With 323 seats, and at the same time, give the twin jet program a strong push toward profitability. So far, the 787-10 is coming together smoothly and ahead of schedule. 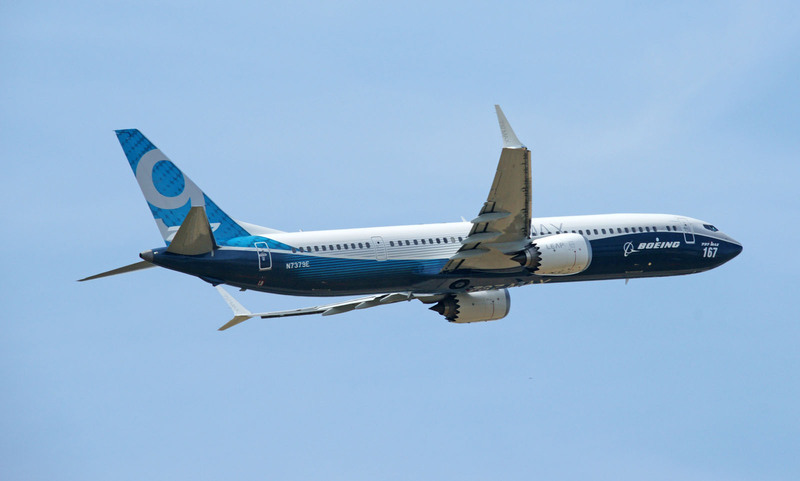 Spurred on predominantly by Singapore Airlines in early 2013, Boeing has won orders and commitments for 154 aircraft from nine airlines and leasing companies. The 787-10 is 18 feet longer than the 787-9; 10ft of that is made up of the midbody, which is extended to 114ft overall. As they are for all 787s, the midbody and aft-fuselage sections for the 787-10 are assembled in South Carolina. Design work for the 787-10 stayed in Seattle, where the challenge was maximizing commonality with the 787-9. Designers targeted a goal of 90% commonality between the 787-9 and the -10, a big leap over the 50% achieved between the 787-8 and the 787-9. The first aircraft is expected to make its maiden flight early this year. Following initial checkout, it will be ferried to Seattle along with the other test 787-10s for completion of the certification campaign. The first and third 787-10s will be powered by Rolls-Royce’s new Trent 1000 TEN engine, while the second will be powered by the competing GEnx1B. 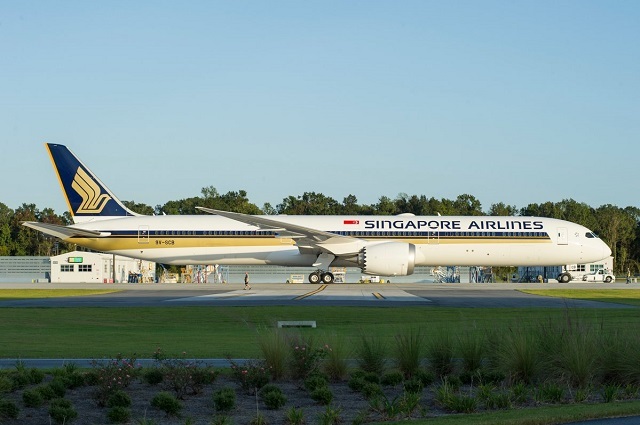 Flight tests of the TEN began on a 787 early in December, the initial 787-10 is scheduled to enter service with Singapore Airlines in mid-2018. Airbus will put off a dozen deliveries of the A380 plane in the next two years following agreement with Emirates, its largest customer for the model, as demands continues to fade for the A380. Handovers of six A380s a piece that were originally planned for 2017 and 2018 will be shifted to a year later following an agreement with Emirates and engine supplier Rolls-Royce Holdings Plc. The Toulouse, France-based plane maker said on Tuesday, December 27th, in an e-mailed statement. Airbus still plans to deliver 12 A380s per year as of 2018, and will seek to accelerate cost savings to minimize the effects on the break- even target for 2017. Airbus has already been reducing production of the A380, which costs $433 million at list prices, as demand for large airliners has dried up. In the meantime, Emirates and Rolls-Royce reached a settlement earlier in December over the airline’s A380 engine performance and maintenance concerns. Dubai-based Emirates is by far the biggest buyer and operator of the A380, with orders for more than 140 of the plane. 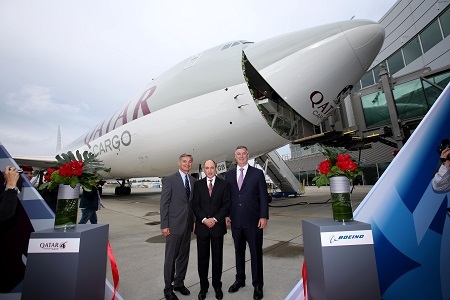 The carrier recently switched to Rolls-Royce engines for its latest batch of A380s, after relying on General Electric Co,’s Engine Alliance venture for the four power-plants that propel the airliner. 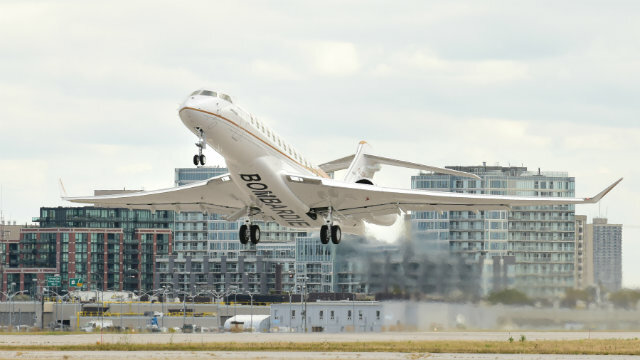 Bombardier Business Aircraft has successfully flown its new flagship business jet, the Global 7000. Flight test vehicle 1(FTV1), C-GLBO (c/n70001), took off from the manufacturer’s Toronto Downsview facility on November 4, 2016. It flew for 2 hrs 27 mins. During the maiden flight, the crew tested the basic system functionality of the jet and assessed its handling and flying qualities. The pilots conducted a gradual climb to 20,000 ft and the aircraft reached a planned test speed of 240 kts. All flight controls were exercised during the sortie and Bombardier reports that all systems and aircraft performed as expected. The flight signifies the start of the jet’s flight test program, ahead of scheduled entry into service in the second half of 2018. 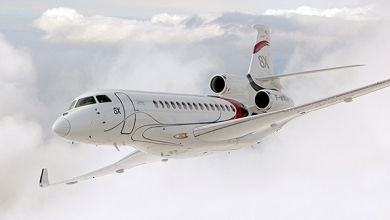 Bombardier says the jet will offer a 7,400 nm(13,705km) range at Mach .85 carrying eight passengers. Boeing Business Jets announced in early December that it will work with GKN Aerospace’s Fokker business to develop, produce, and offer support for the Skyview Panoramic Window. 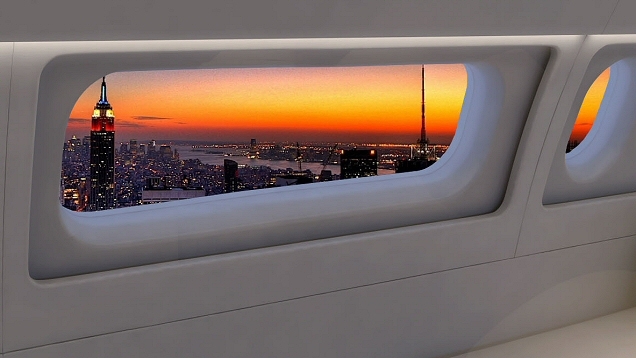 It is the largest window available on any passenger jet offered today. The window will be available as a feature on BBJ, BBJ2, and all three members of the BBJ MAX family, including the new BBJ MAX 7 with scheduled entry-into service in 2018. The Skyview Panoramic Window, measuring approximately 4.5 feet by 1.5 foot(1.4×0.5 m), is created by effectively joining three existing 737 windows together. Situated aft of the wing with multiple potential locations based on the airplane type, it offers customers an unparalleled perspective of the world. State-run airline Aerolineas Argentinas said on December 19, 2016, that it will buy 11 new Boeing 737 MAX aircraft and nine 737-800 NG planes in a deal based on revising a sales contract signed by the previous government. President Mauricio Macri took office a year ago to reduce government spending. 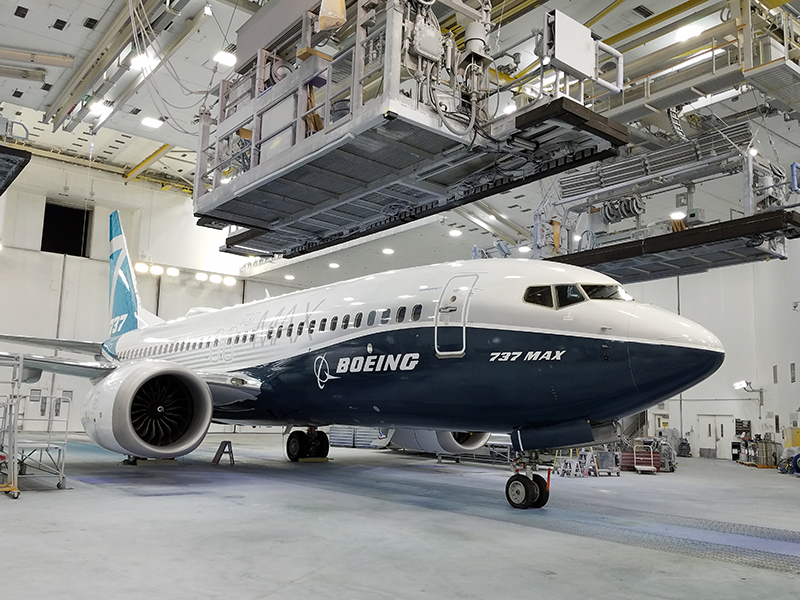 The previous administration had signed a contract with Boeing for 20 737-800 NGs, but no payments or deliveries were made under the deal. 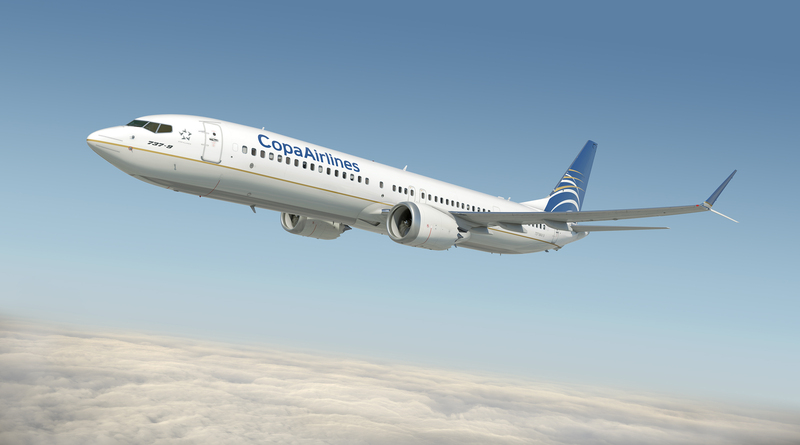 “Aerolineas will be the first operator in Latin America to have a 737 MAX, which is a new plane globally,” the airline’s finance chief Pablo Miedziak told Reuters after signing the new contract with Boeing’s vice president for sales in Latin America Van Rex Gallard. Miedziak said the airline is increasing its capacity by replacing planes with a capacity of 128 seats for new ones that can seat 170 passengers. 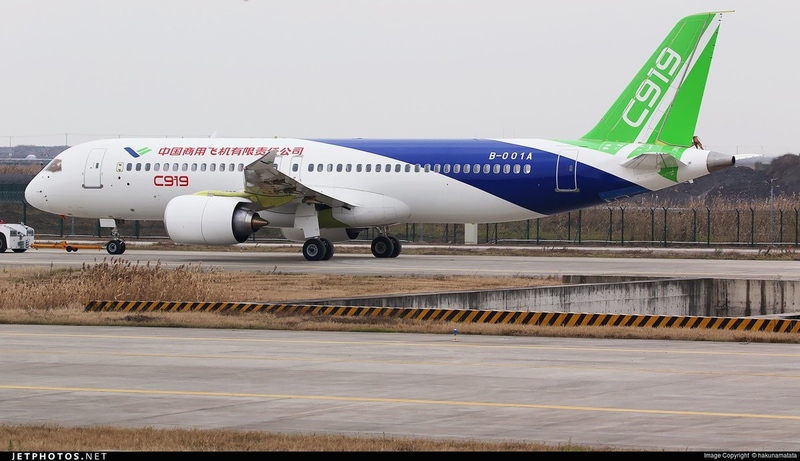 The COMAC C919 narrow body passenger jet moved under its own power for the first time on December 28, 2016, initiating the last series of tests before the C919’s maiden flight. The low-speed taxi trials are being carried out from the company’s facility in Shanghai Pudong International Airport. 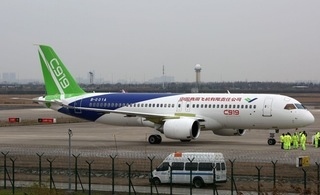 The China-made C919 is scheduled to make its first flight in the first half of 2017. CFM International, the largest jet engine manufacturer worldwide is the exclusive engine supplier for the C919, the first C919 engines (CFM Leap 1C) last July but run for the initial time until November 9, 2016. Shanghai-based China Eastern Airlines will become the first customer to take delivery of the C919. So far COMAC has received 570 orders for the C919 from 23 customers, including Air China and China Southern Airlines. Yangtze River Airlines HNA subsidiary looks toward international expansion in this year. The Shanghai-based carrier plans to take delivery of two Boeing 787 aircraft for that specific use. 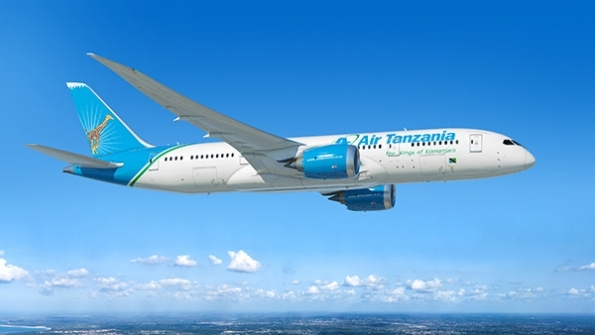 Air Tanzania has been revealed as the previously unidentified customer for a single 787-8 valued at $224.6 million at list prices. 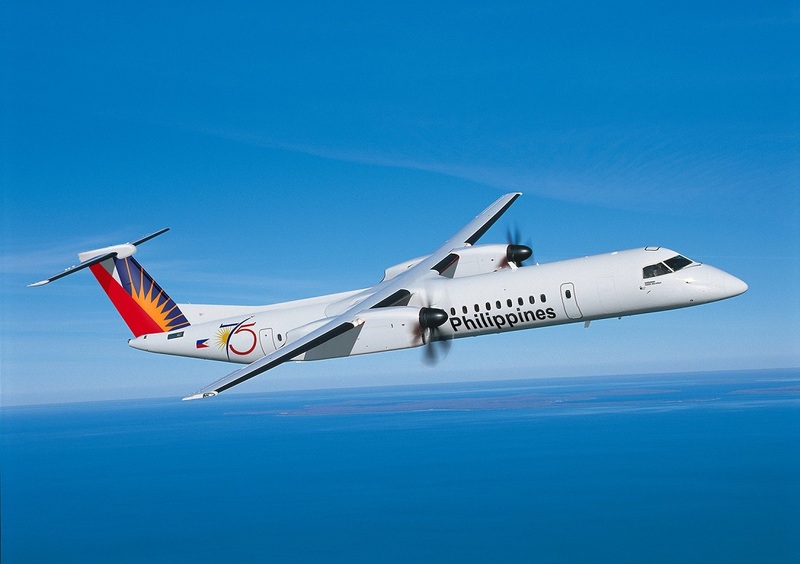 Philippine Airlines has confirmed an order for five Bombardier Q400 turboprops, with purchase rights for an additional seven aircraft. Qatar Airways is in talks with Airbus to convert its order for up to 80 A320neos to the larger A321neos. Delta Airlines has cancelled its order for 18 787-8 aircraft, a commitment that it assumed from Northwest Airlines when the two merged in 2008. Azur Air Russian charter carrier has taken delivery of its first 189-seat 737-800, which will be operated on routes to Spain and the United Arab Emirates this month. 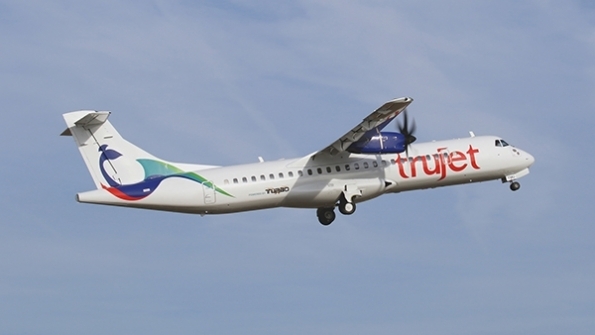 Trujet South Indian regional carrier has taken delivery of its first ATR 72-600 turboprop, which is leased from Dubai Aerospace Enterprise. ANA has taken delivery of its first Airbus A320neo, ANA has six more A320neos on order, and 26 A321neos. Gulfstream has kicked-off the certification campaign for its new G600 business jet, following first flight of the large-cabin, long-range twin on December 17, 2016. 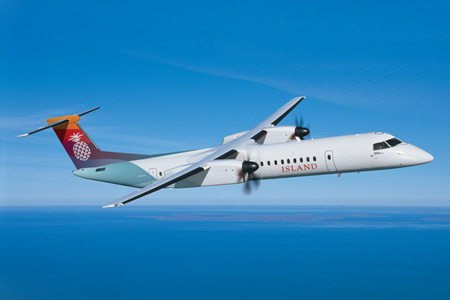 Island Air the Honolulu-based airline will acquire three new Bombardier Q400 turboprops. The aircraft will have 78 seats and enter service early this year. Boeing announced on December 13, 2016, that Evergreen Aviation Technologies Corp (EGAT) will perform passenger-to-freighter conversions for the 767-300 Boeing Converted Freighter(BCF) program. 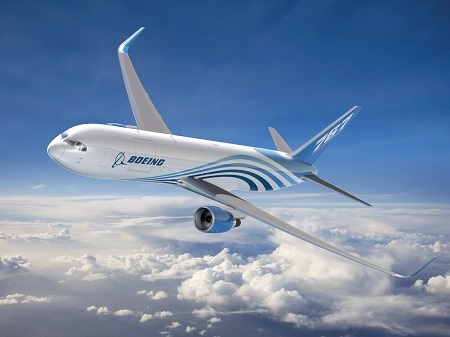 Boeing received 27 firm orders from customers worldwide for the 767-300 BCF. The 767-300 BCF conversion entails the modification of a passenger airplane to the cargo configuration. Converted 767-300BCFs have about the same cargo capability as the 767-300 production freighter with approximately 52 metric tons, with structural payload at a range approximately 3,000 nautical miles (5,930 km) and 412,000 lbs (187,270 kg) maximum takeoff weight. There are 24 pallet positions on the main deck. Evergreen Aviation Technologies has successfully carried our complex airframe conversions that built up the fleet of Boeing Dreamlifters- converted 747 airplanes used to support the 787 program-since 2005, as well as a 747-400 Propulsion Test Platform for GE Aviation in 2014. Aircraft conversion firm Pemco has been bought by Airborne Maintenance and Engineering Services, a subsidiary of Air Transport Services Group (ATSG). ATSG, which runs an air cargo operation for Amazon through its ABX subsidiary, said the acquisition will allow for a number of strategic benefits by combining operational strengths, expanded capabilities and cost savings related to shared services between the companies. Services will be offered from multiple locations, including Wilmington and Tampa for heavy maintenance and modifications, and Tampa, Central America and Asia for passenger-to-freighter conversions. Additional service offerings of aircraft-on-ground field teams, line and turnaround maintenance, component repair and overhaul, engineering repair and design, plus extensive manufacturing and kitting capabilities will be extended from various locations. ATSG President and chief executive Joe Here said : “Based on PEMCO’s existing domestic and international scale, this acquisition will expand access to maintenance service for customers of ATSG’s expanding fleet of Boeing 767 cargo aircraft. The Fort Lauderdale site serves a connecting point for North, Central and South America. It was therefore chosen as the primary storage facility for the American market and central gateway for the extensive customer supply network in the region. The state-of-the-art facility, in operation around the clock all year, and the seamlessly integrated transport network allow the company to even better fulfill the high quality expectations of its customers. Customers benefit from the personal contact and from the fact that their contact person is in the same time zone. The New warehouse has the capacity for around 9,000 components. It also houses more than 10,000 items of consumables and expendables. Various models of aircraft can be supported from the facility. The warehouse is operated by Lufthansa Technik Component Services(LTCS), making use of the logistic processes and IT systems of Lufthansa Technik Logistik Services.